Martha Baillie is a novelist who produces more than a manuscript. In constructing her fiction she sometimes fabricates artifacts – objects and evidences of the world she is creating. A few years ago when she came to the end of The Shape I Gave You, a previous novel whose protagonist is a sculptor, she confronted the pile of paper that was the complete original manuscript. The novel was written, had been submitted and was in the process of being published, but was she really finished with it? She retrieved a pot of glue and a brush and sat on her front porch sticking every page together until she had one solid paper block. Then she took that text block somewhere and had a core sample drilled through the centre of it. She went on to represent elements of the story using pages from previous drafts to make papier mâche sculptures, sticking acupuncture needles into the text and rolling cigarettes from its pages. These became the exhibition Narrative Flow, at Side Space Gallery in 2008. 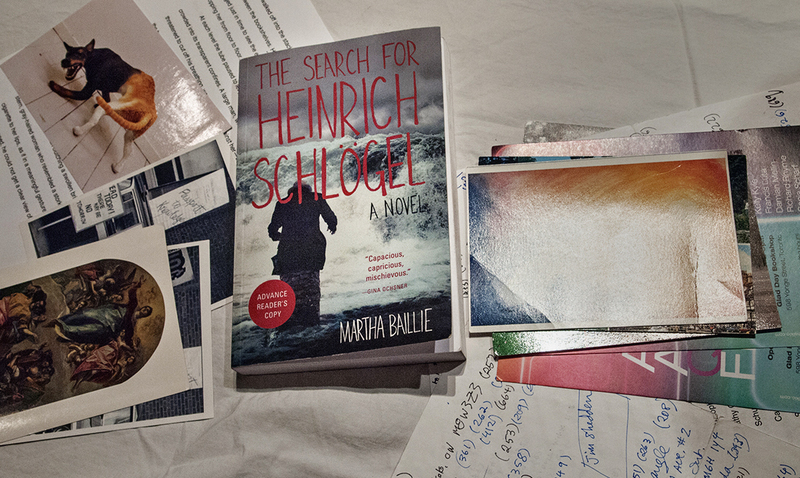 Resisting that terrible temptation, she instead wrote out the entire novel by hand on postcards. 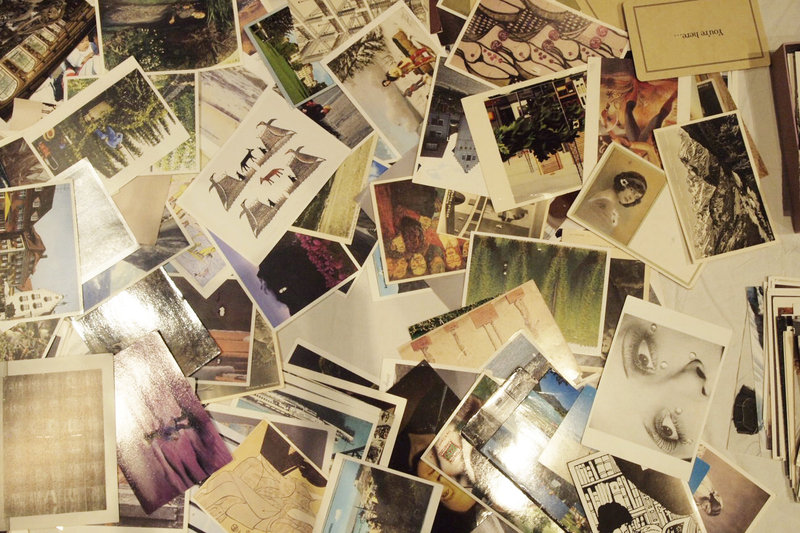 This required amassing about 800 postcards; many were donated by friends and family, some she picked up at museums, shops and archives, and some she pulled out of her own stash of memorabilia. Each image was selected for its resonance with the novel as a whole and mated with a text fragment. These fragments did not necessarily begin at the beginning of a sentence or paragraph. Each was simply continued from the previous card and ended when she had filled the space. None was complete. They were snippets. It was entertaining play for Baillie as she paired image and text, and selected the recipient. But then,“I began to worry about asking people to give back their postcards. I started to think increasingly that once you’ve sent something to someone they’re under no obligation to return it to you.” So as to have a complete record before they were out of her hands, she scanned both sides of each. Then, over the course of several months, as she completed them she mailed the postcards to her friends. We all received several, never in sequence. Later she thought of asking us to read them back to her and she recorded us doing so. During this whole postal process the novel percolated its way through her mind. As she transcribed, scanned, mailed and listened, she began to perceive what was missing and so came to the elements needed to complete a final draft. 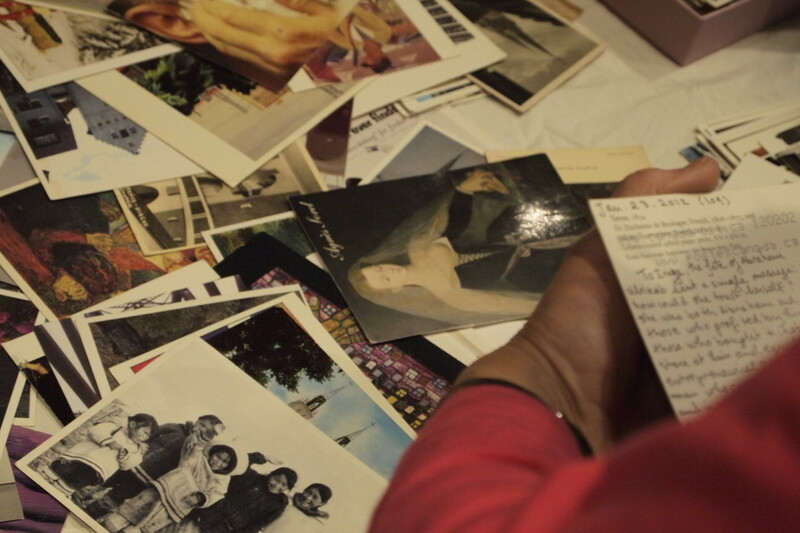 The postcards have become an online archive, a digital companion to the novel. There is a visual version of the novel, that is, the postcards in sequence. And there is an audio version of the novel, which has a few gaps and silences where someone did not read or where something was added later and also contains bits that were later excised as revisions were made. The archive is a document of the book’s evolution and stands as evidence of a process that contributed to its creation. 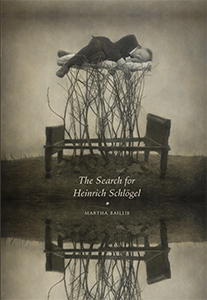 In the course of writing The Search for Heinrich Schlögel, Baillie mitigated the acute solitude of novel writing and relieved commercial publishing pressures by creating a community of readers. We readers were not asked to comment, edit or contribute ideas, but simply to be recipients of the work in progress, to collectively bear some responsibility for it. We wondered as we were recording how to inflect our readings so they made sense in the whole when we didn’t know the context or what came before and after. We are intrigued to see how it comes together and have a proprietary interest in our own postcard bits and finding where they fit in. We want to know what this novel is really about. Our curiosity will soon be satisfied. This article can be found in STAYING IN, in the section What We’re Reading. Nice thoughts and account Schuster, on the process that Martha Baillie has been working with and delivering to us with this new oeuvre(s).